Today, Ticketfly is launching the latest version of its social ticketing platform that features tweaks in discovery, sharing and delivery. The platform, which raised $22M just a couple of months ago, is retooling many of its components in a release it calls Tickets Everywhere. I spoke to Ticketfly CTO Sean Porter and CMO Gannon Hall, about Tickets Everywhere and they stressed that the update means a revamped social ticketing experience when it comes to finding tickets on venues like Facebook and more, as well as a cohesive set of tools for venues that allows them to push out promotions on all channels easily. Those can include websites, Facebook and Ticketfly’s own sites, which include a large affiliate network. With a couple of clicks, users of the platform can create events and publish announcements to social networks, digital flyers and websites with all of the venue info pre-filled and media ready to go. It’s a huge timesaver and makes the typically inefficient intern-driven distribution process that much easier. Tickets Everywhere tweaks the process of sharing to let fans RSVP to events right on Facebook, automatically post that they’re attending an event to their Timeline and mention specific friends to nudge them to attend. The confirmation page for purchasing a ticket to an event now has a Like option for a venue and for the artist’s Facebook Page. They can now also share via Twitter and Google+. This wealth of sharing helps get the message out that your friends are going to a concert, thereby encouraging you to get in on the action as well. You’re exponentially more likely buy tickets to an event if you know your friends are going than if you think you’re going solo. The Aladdin Theater in Portland, Ore. and Chicago’s Congress Theater saw a 13% increase in transaction conversion rates when they tried out the new purchase flow. The social aspects of ticket purchasing and sharing become important when you understand that so much of the decision to purchase a ticket comes down to knowing that its even an option. Dreskin says that 70% of people surveyed in a recent study said they didn’t attend an event because they didn’t know it was even happening. Sometimes just being aware of the event is most of the battle. The mobile delivery flow of Ticketfly’s system has also been streamlined, and it now offers support for Apple’s Passbook when it delivers tickets. A pass is attached to a link in an email and tapped by an iOS user. 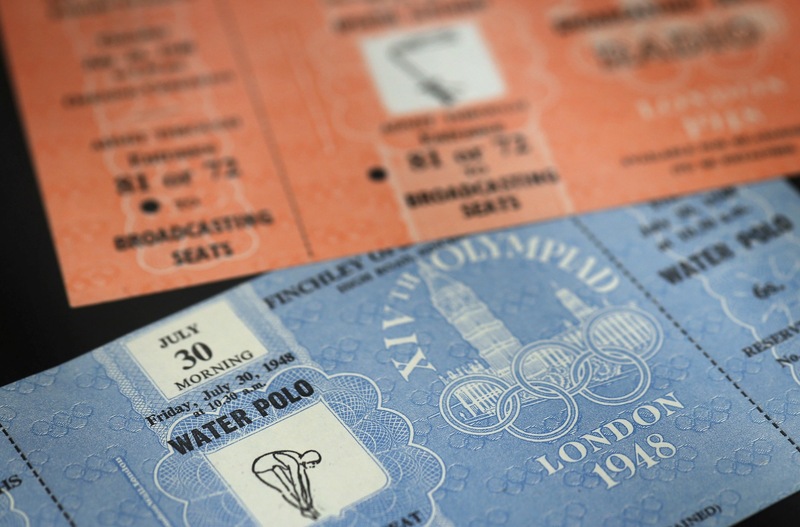 The ticket is then added right to Passbook and venues have the ability to enter geolocation and time information, triggering the ticket when they’re near the venue. The company says that results can be seen across the board, but points to electronic dance music as a prime candidate for this kind of social ticketing. 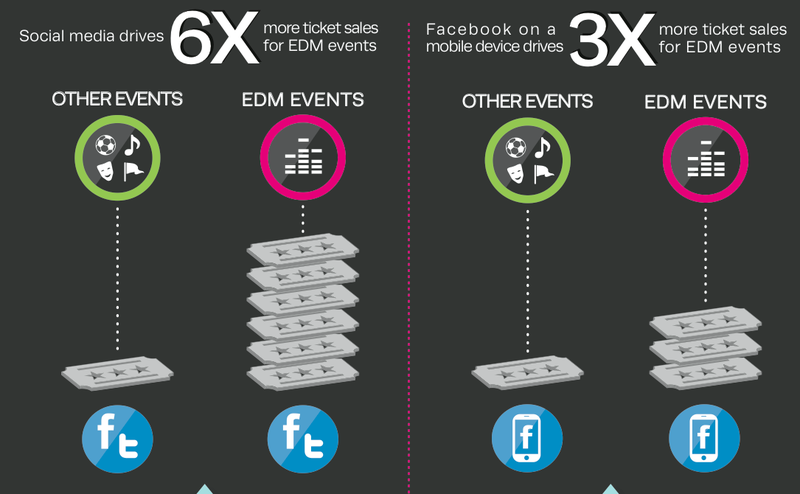 EDM fans, more than many other genres, tend to purchase single tickets for events. 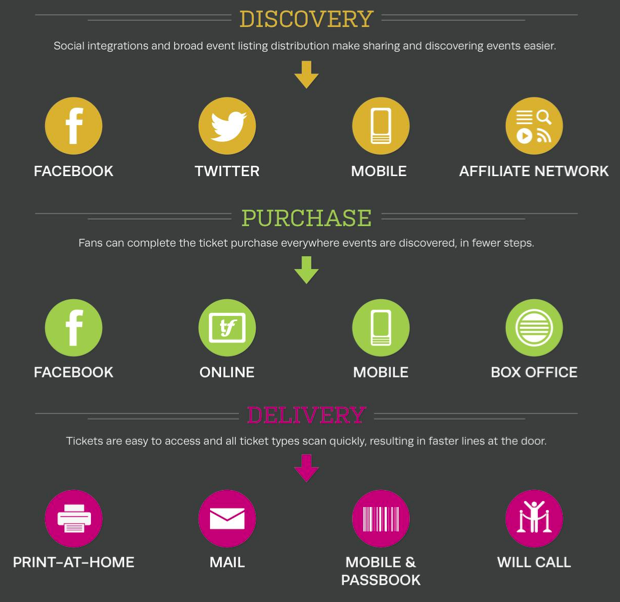 Adding a social component to the ticketing process increases the amount of tickets purchased because additional solo-going fans see that their friends have snagged tickets to an event and make the decision to do so themselves.